I have just flown 2000 miles up from Perth to escape the ‘vicious’ July weather and am walking in Broome – the pearling town turned tourist destination on the NW Australian coast. My guide – let’s call him Bruce – is an engaging story-teller and tells me the town has a colourful past. I swat at a blowfly and think he’s pulling my leg. “Oh really?” I say. We continue down Dampier Terrace past the site of the former town jetty, along the foreshore taking in old railway sidings and Pearlers’ camps where Bruce says lugger crews were housed in round tin huts called humpies. By now, we’ve reached the Japanese Cemetery. I don’t need to count. A sign in English and Japanese tells me that seven hundred graves can be found here, most of which commemorate Japanese divers who died from decompression sickness or drowned while diving for shell. There is a tiny section, in one corner, reserved for the whites. “Were there no white divers?” I ask, not having the slightest inkling of what he is about to unleash. “Funny that,” he says. “All was going swimmingly until 1911 when the town’s prosperity came under threat. Broome, remember, was an almost entirely Asiatic community and was viewed with distaste by a Federal Government deeply entrenched in the “White Australia” policy. The very idea of a coloured workforce was so offensive to Parliament that the Minister of External Affairs declared that from January 1913, only white divers would be permitted to collect pearl shell. “The pearling bosses were horrified at what this would mean to their profis. They protested they could never afford a white man’s wages nor were they convinced that a white man would be able to stand the brutal conditions on board a pearl lugger. Government would not listen though – they wanted the Asians gone. The Pearler’s Wife is based on the British divers and their story. Roxane Dhand was born in Kent and entertained her sisters with imaginative stories from four years old. She studied English and French at London University, and in 1978 moved to Switzerland where she began her professional career in public relations. Back in England and many years later on, she taught French in both the maintained and private sectors. Now retired, her focus returns to her passion for storytelling. 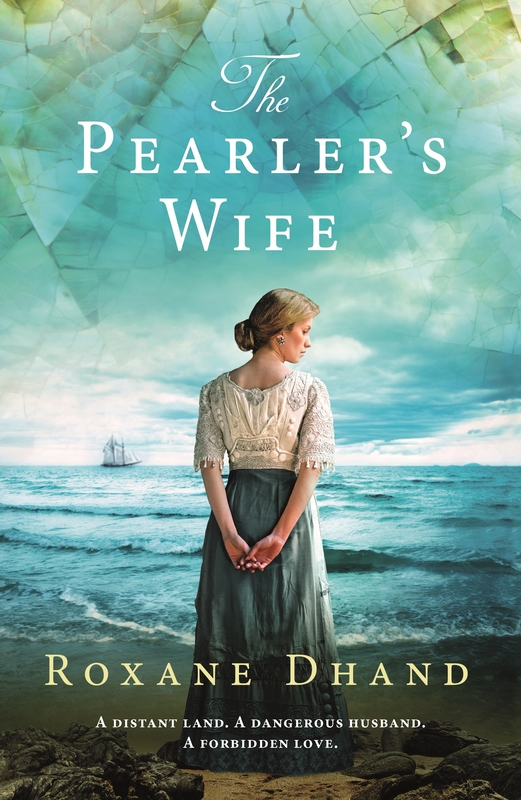 The Pearler’s Wife is her first novel.